We are going to review the Indiana Drug Laws to examine the most common drug charges in Indiana and the potential criminal penalties for each of the charges in Indiana. We will also look at some potential defenses to drug charges. However, as the title of this article indicates, this article is meant to be a quick guide in for individual research regarding the Indiana drug laws, penalties, and potential defenses, NOT a substitute for the advice of an experienced attorney. If you are facing any type of drug charges in Indianapolis, drug charges in Hamilton County, Indiana, or drug charges in a surrounding central Indiana county, we recommend you speak to an Indianapolis Criminal Defense Attorney about the Indiana Drug Laws. Every criminal case is different based on the specific facts of each case, and the Indiana drug laws are complicated; therefore it is important you speak to an Indiana Criminal Defense Lawyer to discuss the specifics of your case. It is important to know that on July 1, 2014, Indiana restructured its criminal code, making several important changes. Among other changes, Class A, B, C, & D felonies were changed to Level 1, 2, 3, 4, 5 & 6 felonies. Level 1 Felonies are the most serious and Level 6 Felonies are the least serious. But, most important for this article, the penalties for many drug offenses were lowered. This article ONLY explores the Indiana Drug laws for drug offenses committed after July 1, 2014. If you are being charged with a drug offense that occurred prior to that date, then the potential charges and penalties are different. One of the most common criminal offenses under the Indiana drug laws is the violation of Indiana’s marijuana laws. As seen below, the penalties for these crimes in Indiana range from a Class B Misdemeanor to a Level 5 felony depending on the circumstances. Indiana Code 35-48-4-11 – Indiana Possession of marijuana, hash oil, hashish, salvia, or a synthetic drug. Possession of marijuana (as well as growing or knowing marijuana is being grown on premises) under 30 grams is a Class B Misdemeanor in Indiana. If the person has a prior conviction for a drug offense or if the marijuana is packaged in manner that appears to be low THC hemp extract, then the offense is a Class A Misdemeanor in Indiana. If the person has a prior conviction for a drug offense, AND the person possesses over 30 grams of marijuana (or at least 5 grams of hash oil, hashish or salvia) then the offense is a Level 6 felony in Indiana. Indiana Code 35-48-4-10 – Indiana Dealing in marijuana, hash oil, hashish, salvia, or a synthetic cannabinoid. Knowing or Intentional manufacturing, financing, or delivery of marijuana, or possession with the intent to manufacture, finance, or deliver, is a Class A Misdemeanor in Indiana. If a person has a prior conviction for a drug offense and the amount of the drug involved is less than 30 grams of marijuana or 5 grams of hash oil/hashish, or at least 30 grams but less than 10 pounds or marijuana or at least 5 grams but less than 300 grams of has oil/hashish, then the offense is a Level 6 felony in Indiana. If a person has at least 10 pounds of marijuana, or 300 grams if hash oil, hashish, or salvia, the offense is a Level 5 Felony in Indiana. If the person was a retailer, and sold marijuana, hash oil, hashish of salvia packaged in a manner that appears to be low THC hemp extract, and the person knew or reasonably should have known the product was marijuana, hash oil, hashish, or salvia, the offense is a Level 5 Felony in Indiana. How does the State prove Possession with Intent to Manufacture, Finance or Deliver? One question that arises throughout our review of the Indiana Drug Laws is how does the State prove possession with the intent to manufacture, or deliver. This clause can turn a possession of a drug charge into a dealing charge, simply based on the amount/weight of possession of a certain drug. Or there can be other evidence besides weight, likes baggies, scales, rubber bands, etc. For marijuana, to prove possession with intent to manufacture, finance or deliver, there must be at least 10 pounds of marijuana, 300 grams of hash oil, or hashish, OR evidence (in addition to the weight of the drug) that the person intended to manufacture, finance or deliver. In Kail v. State, the Indiana Court of Appeals stated that circumstantial evidence of intent to deliver such as scales, plastic bags, and other paraphernalia is sufficient to support a conviction. Another frequent drug offense under the Indiana Drug Laws is possession of a controlled substance. The penalties for possession of a controlled substance range from a Class A Misdemeanor to a Level 6 Felony and the penalties for dealing of a controlled substance are much more severe, ranging from a Level 6 felony to a Level 2 felony. What are the Indiana Drug Schedules? Indiana Drug Laws have five scheduled drug categories defined based on the State’s determination of which drugs have the highest potential for abuse vs. the benefit the drug provides in medical use. Schedule I drugs have the most potential for abuse and Schedule V drugs have the lowest potential. Therefore, the penalties for possession of a controlled substance are higher for possession of drugs higher on the Schedules. Schedule I – The drug or other substance has a high potential for abuse, and has no currently accepted medical use in treatment in the US. Schedule II – The drug of other substance has a high potential for abuse, and has a currently accepted medical use in treatment in the US or a currently accepted medical use with severe restrictions. Abuse of the drug or other substances may lead to severe psychological or physical dependence. Schedule III – The drug or other substance has a potential for abuse less than the drugs or other substances in schedules I and II. The drug or other substance has a currently accepted medical use in treatment in the United States. Abuse of the drug or other substance may lead to moderate or low physical dependence or high psychological dependence. Schedule IV – The drug or other substance has a low potential for abuse relative to the drugs or other substances in schedule III. The drug or other substance has a currently accepted medical use in treatment in the United States. Abuse of the drug or other substance may lead to limited physical dependence or psychological dependence relative to the drugs or other substances in schedule III. Schedule V – The drug or other substance has a low potential for abuse relative to the drugs or other substances in schedule IV. The drug or other substance has a currently accepted medical use in treatment in the United States. Abuse of the drug or other substance may lead to limited physical dependence or psychological dependence relative to the drugs or other substances in schedule IV. What drugs are in each Schedule? Schedule I Drugs: Examples include heroin, lysergic acid diethylamide (LSD), marijuana (cannabis), 3, 4-methylenedioxymethamphetamine (ecstasy), methaqualone, and peyote. Schedule II Drugs: Examples include products with less than 15 milligrams of hydrocodone per dosage unit (Vicodin), cocaine, methamphetamine, methadone, hydromorphone (Dilaudid), meperidine (Demerol), oxycodone (OxyContin), fentanyl, Dexedrine, Adderall, and Ritalin. Schedule III Drugs: Examples include products containing less than 90 milligrams of codeine per dosage unit (Tylenol with codeine), ketamine, anabolic steroids, and testosterone. Schedule IV Drugs: Examples include Fenfluramine, Lorcaserin, Xanax, Soma, Darvon, Darvocet, Valium, Ativan, Talwin, Ambien, and Tramadol. Schedule V Drugs: Examples include cough preparations with less than 200 milligrams of codeine or per 100 milliliters (Robitussin AC), Lomotil, Motofen, Lyrica, and Parepectolin. A person who, without a valid prescription or order of a practitioner acting in the course of the practitioner’s professional practice, knowingly or intentionally possesses a controlled substance (pure or adulterated) classified in schedule I, II, III, or IV, except marijuana, hashish, salvia, or a synthetic cannabinoid, commits possession of a controlled substance, a Class A misdemeanor in Indiana. The offense is a Level 6 felony if the person commits the offense and an enhancing circumstance applies. The Indiana Drug Laws do contain offenses for dealing in a schedule IV or V controlled substance. However, for the purpose of this article, we are only going to review schedules I, II, & III. A person who knowingly or intentionally manufactures, finances or delivers a controlled substance, pure or adulterated, classified in schedule I, II, or III, (except marijuana, hash oil, hashish, salvia, or a synthetic drug) or possesses, with intent to manufacture, finance, or deliver a controlled substance, pure or adulterated, classified in schedule I, II, or III (except marijuana, hash oil, hashish, salvia, or a synthetic drug) commits dealing in a schedule I, II, or III controlled substance, a Level 6 Felony in Indiana. The offense is a Level 5 felony if the amount of the drug involved is at least one (1) gram but less than five (5) grams; or the amount of the drug involved is less than one (1) gram and an enhancing circumstance applies. The offense is a Level 4 felony if the amount of the drug involved is at least five (5) grams but less than ten (10) grams; or the amount of the drug involved is at least one (1) gram but less than five (5) grams and an enhancing circumstance applies. The offense is a Level 3 felony if the amount of the drug involved is at least ten (10) grams but less than twenty-eight (28) grams; or the amount of the drug involved is at least five (5) grams but less than ten (10) grams and an enhancing circumstance applies. The offense is a Level 2 felony if the amount of the drug involved is at least twenty-eight (28) grams; or the amount of the drug involved is at least ten (10) grams but less than twenty-eight (28) grams and an enhancing circumstance applies. How does the State prove Possession of a Controlled Substance with Intent to Manufacture, Finance or Deliver? Under Indiana Drug Laws, to prove possession with intent to manufacture, finance or deliver, there must be at least 28 grams of the drug OR evidence (in addition to the weight of the drug) that the person intended to manufacture, finance or deliver. What is an “Enhancing Circumstance” under the Indiana Drug Laws? The person has a prior conviction, in any jurisdiction, for dealing in a controlled substance that is not marijuana, hashish, hash oil, salvia divinorum, or a synthetic drug, including an attempt or conspiracy to commit the offense. The person committed the offense while in possession of a firearm. The person committed the offense (a) on a school bus; or (b) in, on, or within five hundred (500) feet of: (i) school property while a person under eighteen (18) years of age was reasonably expected to be present; or (ii) a public park while a person under eighteen (18) years of age was reasonably expected to be present. The person delivered or financed the delivery of the drug to a person under eighteen (18) years of age at least three (3) years junior to the person. The person manufactured or financed the manufacture of the drug. The person committed the offense in the physical presence of a child less than eighteen (18) years of age, knowing that the child was present and might be able to see or hear the offense. Even though cocaine and narcotics are both controlled substances listed in the schedules discussed above, the Indiana Drug Laws contain separate laws and penalties for these specific drugs that are more harsh than the laws for controlled substances. This likely represents a statewide policy decision to punish these drugs more harshly due to their high potential for abuse. The penalties for possession of cocaine or narcotics range from a Level 6 felony to a Level 3 Felony. The penalties for dealing of cocaine range from a Level 5 Felony to a Level 2 Felony under the Indiana Drug Laws. A person who, without a valid prescription or order of a practitioner acting in the course of the practitioner’s professional practice, knowingly or intentionally possesses cocaine (pure or adulterated) or a narcotic drug (pure or adulterated) classified in schedule I or II, commits possession of cocaine or a narcotic drug, a Level 6 felony in Indiana. The offense is a Level 5 felony if the amount of the drug involved is at least five (5) but less than ten (10) grams; or the amount of the drug involved is less than five (5) grams and an enhancing circumstance applies. The offense is a Level 4 felony if the amount of the drug involved is at least ten (10) but less than twenty-eight (28) grams; or the amount of the drug involved is at least five (5) but less than ten (10) grams and an enhancing circumstance applies. The offense is a Level 3 felony if the amount of the drug involved is at least twenty-eight (28) grams; or the amount of the drug involved is at least ten (10) but less than twenty-eight (28) grams and an enhancing circumstance applies. Indiana Code 35-48-4-1 – Dealing in cocaine or a narcotic drug. A person who knowingly or intentionally manufactures, finances, or delivers cocaine or a narcotic drug, pure or adulterated, classified in schedule I or II; or possesses, with intent to manufacture, finance, or deliver cocaine or a narcotic drug, pure or adulterated, classified in schedule I or II; commits dealing in cocaine or a narcotic drug, a Level 5 Felony in Indiana. The offense is a Level 4 felony if the amount of the drug involved is at least one (1) gram but less than five (5) grams; the amount of the drug involved is less than one (1) gram and an enhancing circumstance applies; or the drug is heroin and the amount of heroin involved, aggregated over a period of not more than ninety (90) days, is at least three (3) grams but less than seven (7) grams. The offense is a Level 3 felony if the amount of the drug involved is at least five (5) grams but less than ten (10) grams; the amount of the drug involved is at least one (1) gram but less than five (5) grams and an enhancing circumstance applies; the drug is heroin and the amount of heroin involved, aggregated over a period of not more than ninety (90) days, is at least seven (7) grams but less than twelve (12) grams; or the drug is heroin and the amount of heroin involved, aggregated over a period of not more than ninety (90) days, is at least three (3) grams but less than seven (7) grams; and an enhancing circumstance applies. The offense is a Level 2 felony if the amount of the drug involved is at least ten (10) grams; the amount of the drug involved is at least five (5) grams but less than ten (10) grams and an enhancing circumstance applies; the drug is heroin and the amount of heroin involved, aggregated over a period of not more than ninety (90) days, is at least twelve (12) grams; or the drug is heroin and the amount of heroin involved, aggregated over a period of not more than ninety (90) days, is at least seven (7) grams but less than twelve (12) grams; and an enhancing circumstance applies. How does the State prove Possession of a Cocaine/Narcotics with Intent to Manufacture, Finance or Deliver? Under the Indiana Drug Laws, to prove possession with intent to manufacture, finance or deliver, there must be at least 28 grams of the cocaine/narcotics OR evidence (in addition to the weight of the drug) that the person intended to manufacture, finance or deliver cocaine/narcotics. Even though methamphetamine is a controlled substances listed in the schedules discussed above, the Indiana Drug Laws have separate laws for methamphetamine that are more harsh than the laws for controlled substances. This likely represents a statewide policy decision to punish methamphetamine possession and dealing more harshly due to its high potential for abuse. The penalties for possession of methamphetamine ranges from a Level 5 felony to a Level 3 Felony. The penalties for dealing of methamphetamine range from a Level 5 Felony to a Level 2 Felony under the Indiana Drug Laws. Indiana Code 35-48-4-6.1 – Possession of methamphetamine. A person who, without a valid prescription or order of a practitioner acting in the course of the practitioner’s professional practice, knowingly or intentionally possesses methamphetamine (pure or adulterated) commits possession of methamphetamine, a Level 6 Felony in Indiana. A person who knowingly or intentionally delivers, finances the delivery of methamphetamine, pure or adulterated; or possesses, with intent to deliver or finance the delivery of methamphetamine, pure or adulterated commits dealing in methamphetamine, a Level 5 Felony in Indiana. The offense is a Level 4 felony if the amount of the drug involved is at least one (1) gram but less than five (5) grams; or the amount of the drug involved is less than one (1) gram and an enhancing circumstance applies. The offense is a Level 3 felony if the amount of the drug involved is at least five (5) grams but less than ten (10) grams; or the amount of the drug involved is at least one (1) gram but less than five (5) grams and an enhancing circumstance applies. The offense is a Level 2 felony if the amount of the drug involved is at least ten (10) grams; or the amount of the drug involved is at least five (5) grams but less than ten (10) grams and an enhancing circumstance applies. Unlike the other drugs above, the Indiana drug laws has a separate provision for manufacturing methamphetamine. A person who knowingly or intentionally manufactures or finances the manufacture of methamphetamine, pure or adulterated, commits manufacturing methamphetamine, a Level 4 Felony in Indiana. The offense is a Level 2 felony if the amount of the drug involved is at least ten (10) grams; the amount of the drug involved is at least five (5) grams but less than ten (10) grams and an enhancing circumstance applies; the manufacture of the drug results in serious bodily injury to a person other than the manufacturer; or the manufacture of the drug results in the death of a person other than the manufacturer. How does the State prove Possession of a Methamphetamine with Intent to Manufacture, Finance or Deliver? Under the Indiana Drug Laws, to prove possession with intent to manufacture, finance or deliver, there must be at least 28 grams of the methamphetamine OR evidence (in addition to the weight of the drug) that the person intended to manufacture, finance or deliver cocaine/narcotics. The Indiana Drug Laws contain laws regarding the possession, manufacturing or dealing of paraphernalia. However, for purposes of this article, we are only going to review the penalties for possession of paraphernalia in Indiana. commits a Class C misdemeanor in Indiana. However, the offense is a Class A misdemeanor if the person has a prior unrelated judgment or conviction under this section. This section does not apply to a rolling paper. Indiana Code 16-42-19-18 – Possession or control of hypodermic needles. A person who possesses with intent to violate this chapter; or commit an offense described in IC 35-48-4; a hypodermic syringe or needle or an instrument adapted for the use of a controlled substance or legend drug by injection in a human being commits a Level 6 Felony. Under the Indiana Drug law, Indiana case results interpreting this statute have gone both ways. For example, in Berkhardt v. State, the Indiana Court of Appeals held that the State did not present sufficient evidence to support defendant’s conviction for level 6 felony unlawful possession of a syringe because there was no drug residue on the syringes found on defendant, no evidence of prior drug-related convictions or current or past drug use, and no other evidence to support the State’s claim defendant possessed the syringes with the specific intent to violate the Indiana Legend Drug Act or to commit a controlled substance offense. In Cherry v. State, the Indiana Court of Appeals held that evidence was sufficient to sustain defendant’s conviction for unlawful possession of a syringe in violation of IC 16-42-19-18, because a hypodermic syringe was found in defendant’s pocket, he testified that he was a drug user, that he carried paraphernalia, and usually took heroin by injecting it with a syringe. In many of the statutes above, there is a requirement for knowledge and intent to possess. A common defense to these crimes is that a Defendant will argue that he/she did not know that he had possession, did not know drugs were in their house or vehicle, or that the drugs were not that person’s drugs. In Solana v. State, the Indiana Court of Appeals held that evidence that the accused had exclusive control over the premises permits a reasonable inference that he had knowledge of or intent possession of the contraband. In Burgin v. State, the Indiana Court of Appeals held that exclusive possession of the premises where contraband is found is sufficient to show intent to control the contraband. However, when a person does not have exclusive possession of the premises where contraband is found, some additional evidence is necessary to show intent to control. Similarly, another common defense to drug charges is that the person did not have the drugs on them. However, Indiana law allows the State to prove possession with both actual possession and “constructive possession.” Actual construction is just that, a person actually has the drugs on them. But what is constructive possession? Let’s look at some Indiana case law on the subject. Constructive possession is defined as the intent and capability to maintain control and dominion over the drugs. The capability to exert control is the defendant’s ability to reduce the substance to his personal possession or to direct its disposition or use. In Smith v. State, the Indiana Court of Appeals held that evidence was sufficient to support defendant’s conviction for constructive possession of marijuana which was seized on a bed, where defendant unlocked the front door of a residence and directed police officers to his bedroom, where the marijuana was in plain view. In Craig v. State, the Indiana Court of Appeals held where defendant stipulated that he was the owner of the house where the substances were found and was the only person present when the search warrant was executed and provided keys to various cabinets, evidence was sufficient to show possession since constructive possession may be proven from evidence that substance was in a place where defendant exercised dominion and control. In Carnes v. State, evidence was sufficient to support a conviction for unlawful “constructive possession” of contraband found within the defendants’ joint residency, within the kitchen refrigerator and upon a tray sitting upon a bench or table in the bedroom. In Matthews v. State, where defendant was found in a barricaded house with two other individuals, none of whom owned the house, and cocaine and marijuana were in plain view in close proximity to defendant, this was sufficient to establish defendant’s constructive possession of the drugs and to convict defendant of possession of cocaine in violation of IC 35-48-4-6 and possession of marijuana in violation of IC 35-48-4-11. In Griffin v. State, the Indiana Court of Appeals held that the defendant was properly convicted of possession of marijuana under IC 35-48-4-11, despite his claim that there was insufficient evidence because he lacked direct physical control of the blunt that was found in his vehicle. Defendant was in close proximity to the marijuana, it was within his reach, and defendant should have known that marijuana was in the vehicle because of the strong odor of marijuana that was reported by police. But, in Gee v. State, the Indiana Court of Appeals held that Defendant’s constructive possession of drugs found in search of house occupied by defendant and his cousin could not be inferred from police discovery, in search of house while defendant was not present, of contraband in closed containers in basement laundry room cabinet and other incriminating material found primarily in cousin’s bedroom; there was no showing that contraband would have been within defendant’s plain view. Likewise, in Smith v. State, the Court stated there was insufficient evidence to convict defendant of possession of marijuana in violation of IC 35-48-4-11 and of maintaining a common nuisance in violation of IC 35-48-4-13, as the state failed to prove that defendant had exclusive control over the premises where the marijuana was found, for there was no evidence that indicated whether defendant was the only resident of the house or that defendant’s control was otherwise exclusive, and the state failed to prove that defendant constructively possessed the drugs, as there was no evidence of incriminating statements or behavior by defendant, nor was there evidence that the marijuana was close to defendant or defendant’s possessions, or was in defendant’s plain view. In Crowder v. State, the Court held that the fact that passenger in car had bag of marijuana did not constitute evidence of actual or constructive possession of marijuana by driver of car. 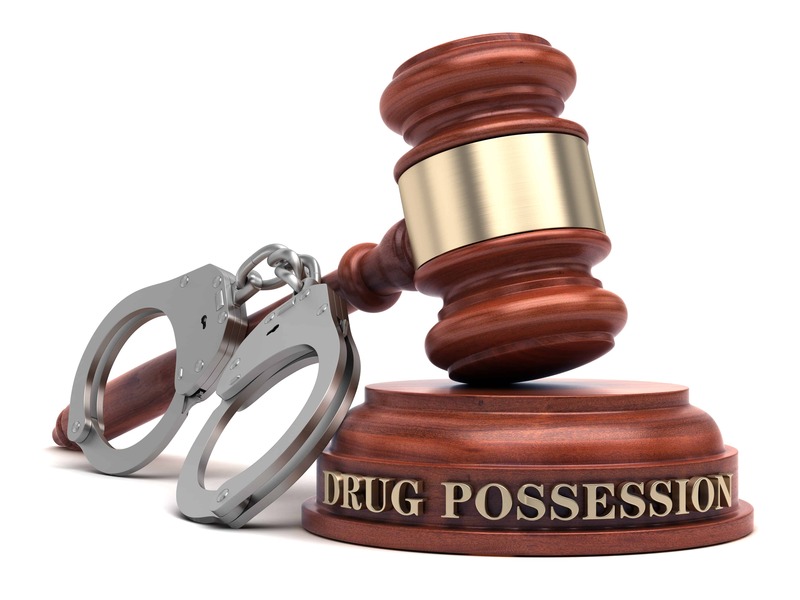 There are many, many other cases regarding actual possession and constructive possession of drugs. If you are charged with a drug offense, you should speak with an Indiana Criminal Defense Attorney to discuss the particulars of your case. In addition to the requirement that the State prove its case as seen with the constructive possession cases above, here is a non-exhaustive list of other potential defenses to the Indiana Drug Laws. The potential application of these defenses to a particular case under the Indiana Drug Laws is best assessed by an Indiana Criminal Defense attorney. Have questions if one of these defenses may potentially apply to your case? Contact Us for a free consultation today. As you can see by the length of this article, the Indiana Drug Laws are complicated. And this article does not include all the potential drug offenses or defenses. Have questions about the potential sentences for any of the drug charges in this article? See our article regarding the Indiana Sentencing Guidelines. If you are facing potential drug charges, it is important you speak to an Indianapolis Criminal Defense Attorney to discuss the specific facts of your case. Avnet Law understands the issues, the law, and can advise you regarding the Indiana drug laws. Call 1-877-77-AVNET to Schedule a Free Consultation with an Indianapolis Criminal Defense Attorney today or contact us below with any questions you may have about your pending drug case.